Hey gang! First of all, I’m sorry I haven’t posted much recently. My life has been a bit hectic, but I hope to be back to my regular posting frequency of around 12 posts per month in April. Before getting to my review of Daredevil Redemption, I wanted to show you what I got in the mail the other day. I’ve been eying a particular page from Daredevil #93 for a while and finally decided to buy it. Ironically, because it doesn’t have Daredevil in costume on it, this page was much cheaper than most of the other pages Michael Lark has for sale, but it happens to depict on of my favorite scenes from the Brubaker/Lark run. What do I like about it? Well, it’s a feel good moment, and those are so rare in Daredevil. Also, it hints at Matt’s self-depricating wit, which is another rarity. Since this is a restaurant scene, I’m going to frame it and hang it in my kitchen. I’m so happy I got the chance to buy this piece of original Daredevil art and it’s really cool seeing it up close. There’s white out on it and everything! 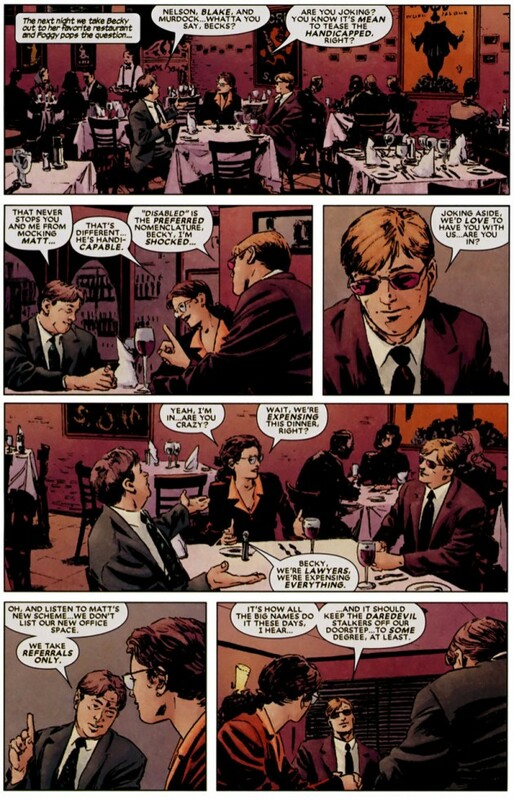 Below is the finished scene from Daredevil #93, by Ed Brubaker and Michael Lark. 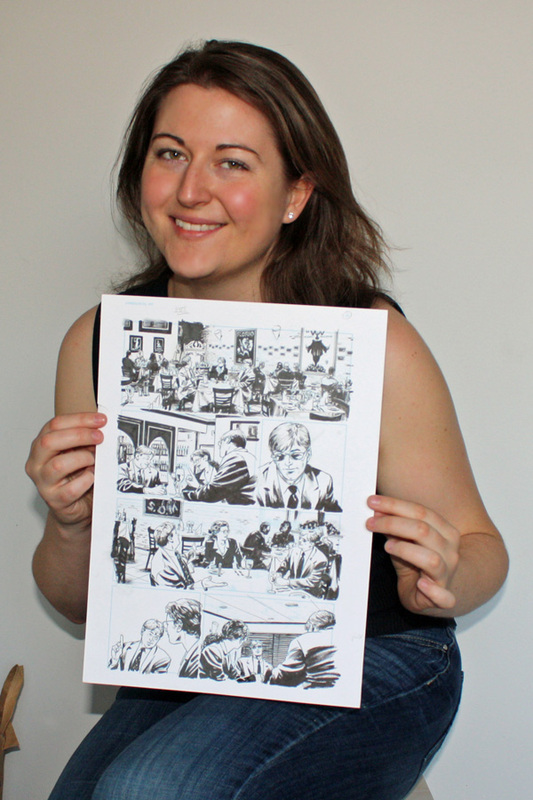 That’s awesome…not just that you got a piece a piece of original comic book art, but that you got one from a scene you love! Was this a one-time thing, or do you think you’ll be getting more art in the future?